Recently a Facebook friend of mine asked the question, which baseball players deserve to have a book written about them. It poses an interesting question as to what is the criteria we use to choose a subject of these books. As you would expect everyone had their own opinion as to what made a player worthy of their own book. Everyone from one hit wonders to Hall of Famers were mentioned. For me it made me wonder why we even need the books of some of those people, even those players that were popular does not automatically give credence to any of the books they write. Today’s book makes me question if we really needed this one. I am really not in any way a New York Yankees fan. So I did not go into this book partaking in the drinking of the Yankees cool-aid. While I think Jorge Posada had a decent career I honestly thought if you had placed him on another team, perhaps the Royals or the Twins during the same era, this book probably never would have been published. So I really wasn’t expecting much from this book. Unfortunately I can say I wasn’t disappointed. I appreciate the effort both authors put forth in this book, I don’t think anyone sets out to write an average book. But that is what the reader gets in this one. Its a story that is not very riveting in any way and drags on at certain points. It does make it hard to get through certain spots, but with some diligence you can get through it. 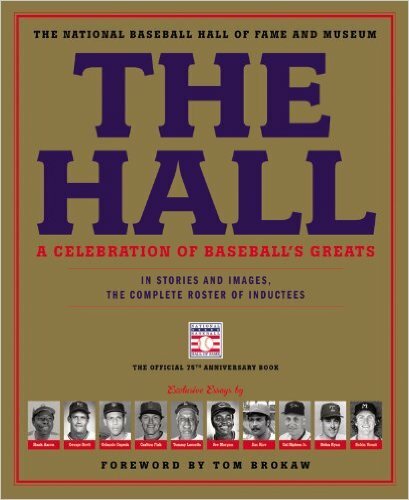 The major appeal that this book has to the general public is that it is another Yankees book. That alone will help peak interest in the book, but for me it just isn’t enough to justify it. I have always felt that if a publisher sees some merit in publishing a book, maybe it is worth taking a look at. Most of those books have some redeeming qualities to them, but I am not finding very many here. 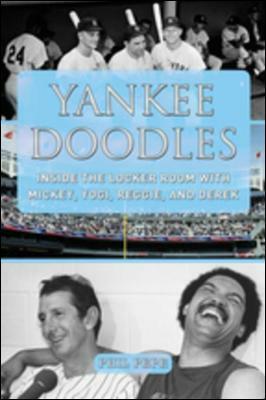 Yankees fans may be a better audience for this one, because non-Yankees fans will not be able to get through the slow portions of the book. When you do the same job for several decades it can get stale. You get to the point that nothing new ever really happens and you just start phoning in your job. You do the bare minimum just to skate by until you wind up retiring. Now this is true for most of us, but if you are lucky enough to have a job that no two days are ever the same, it’s totally different. You can’t wait to get to work and enjoy all the ups and downs of your job. Now most of us obviously fall into the former description, but if you are the New York Yankees beat writer like Phil Pepe was for several decades, you have a ton of great stories filed away in the memory bank just waiting to be shared. Todays book does just that. This would probably be a dream job to most Yankee fans. Following the team day in and day out, mingling among the legends and almost becoming an extension of the team itself. While I am sure it is not a walk in the park every single day, I can think of a few professions that this would highly rank above. 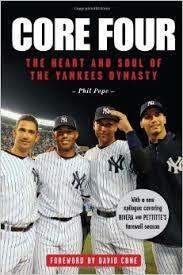 Phil Pepe takes the reader on a journey with this book through several decades of Yankee stories. It is personal, first hand interactions with the team and stories he has witnessed in his years covering the team. He takes us from Joltin’ Joe DiMaggio all the way up through Derek Jeter. In between those two icons the book is filled with stories about other Yankee legends that donned the pinstripes while he was their beat writer. If you look at it from a historical standpoint this was a great time to be covering the team, because the baseball history he has witnessed is amazing. This is a typical Pepe book in the style in which it is written. I have always found his books to be engaging and able to pull the reader into the story and make them feel like they were there as well. Phil Pepe has a real knack for getting the reader into a story and holding onto them until the very end. Perhaps I am a little biased because the other books he has written have ranked up there among my favorites. I am not sure if this was Pepe’s swan song for his distinguished career, but if it was he goes out on the top of his field. He shows his skill and dedication to his craft and does not use it as any sort of retribution towards people in the stories he tells. He tells stories that the everyday fan would never have known about if not told in this book. I found these stories in no way to be malicious or scandalous in any way, it was just more of a fun reflection on his career covering the Yankees. Baseball fans and Yankee fans especially will enjoy this one. Its just a lot of fun stories from a raunchy locker room that is not always visible to the public. Readers should give this one a shot, I don’t think they will be dissapointed.